aesthetic appeal and respect for the environment are the fundamental ingredients. Technology, research, and aesthetics: Blustyle is creativity, experience, and advanced technology; a team of professionals specialized in the creation of innovative and high quality products. it is the guaranteethat the best porcelain stoneware products are affordable to everyone. Greenstyle: Blustyle is “green” at heart. a company that has made high quality its mission, cannot but have the utmost respect for the environment and for the safeguarding of our planet. a binding commitment, the product of concrete choices that help to create a highly eco-compatible manufacturing model, one that recycles and reduces the need for raw materials through the use of highly efficient machinery and renewable energy. Nothing makes me feel “at home” like living outdoors, surrounded by nature and its elements. The smell of the countryside, the warmth of the sun or the cold snow; contact with wood, with its history and charm formed of details, knots, cracks and nicks, warm and blazed colours or colder and modern tones. Country is all these things. 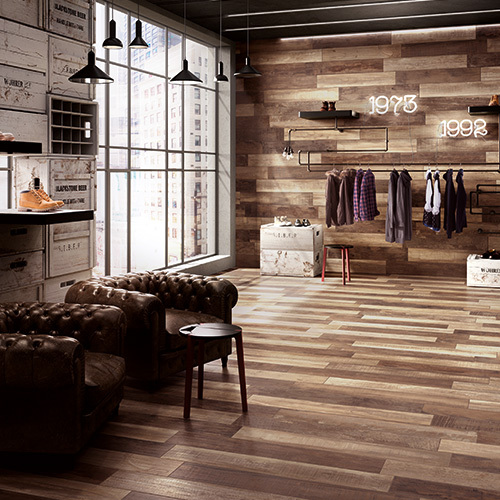 A beautiful wood that is deliberately aged, welcoming and with a natural touch. I have chosen between three beautiful colours strongly shaded, which define the collection: Aspen, clear and refined; Creek, warm grey, modern and trendy; and Vermont, warmer, elegant tones with character. 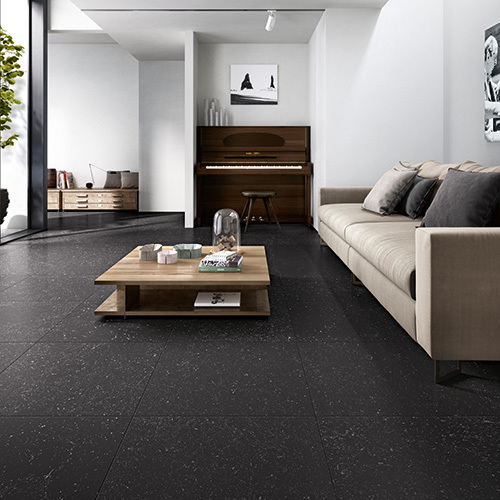 The rich graphics and high technology production process make them extremely realistic porcelain tiles with high technical performance, durable and easy to clean. Four different modern and versatile stones, impressed by the nature that created them and which combine with contemporary styles. Living Stones comes in three thicknesses and three finishes: 10 and 11mm in Natural and Lappata and the new 20mm in Grip, incredibly durable and antislip, perfect for all kinds of outdoor flooring.